The Carlisle Stackable Tumbler is a restaurant quality 20 ounce beverage tumbler perfect for serving a variety of drinks including water, iced tea, soda and juice. 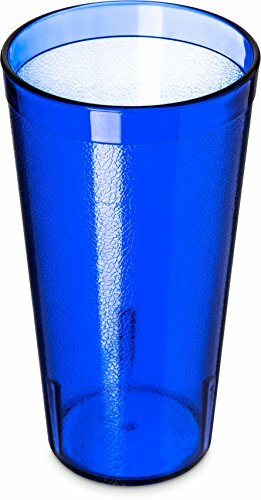 Made from highly break-resistant SAN plastic, this tumbler is designed to stand up to the demands of a commercial food service environment making it ideal for use in school cafeterias, high-volume restaurants and prisons/correctional facilities.The tumblers feature a textured design that hides signs of wear and tear. Coming in a clear color, the classic tumbler design blends in with existing tableware. The cups feature a tapered design and stacking lugs allowing for easy and efficient stacking without the risk of jamming.